In addition to book signings, Rabbi Fuchs is available for speaking engagements, presentations and group discussions to provide further insight into the message and topics covered in What's in It For Me? ToraHighlights, and Why the Kof?. 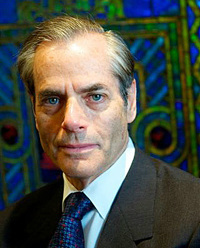 He speaks at synagogues, churches, corporate and civic meetings, book clubs and other groups, large and small. Below are a few of his most recent reviews! Rabbi Stephen Fuchs spoke at Congregation Albert in Albuquerque, New Mexico in January, once as the keynote speaker for our Martin Luther King observance, and once on his Torah Commentary book entitled, ToraHighlights. At the MLK celebration where over 600 people were in attendance, his topic was "Keeping the Dream Alive." The audience was taken by his ideas, his warmth and the personal nature of his presentation. Later in the day, Steve spoke to about two dozen people on the meaning of the Book of Exodus and of our freedom narrative. His talk was stimulating, thought-provoking, well-organized and eloquent. He listens well to students' questions and opinions, and responds with sensitivity. If you would like to bring a quality teacher/speaker who can reach congregants, I heartily recommend Rabbi Stephen Fuchs. ​we can engage and make a huge difference. I am always so impressed to see how you [Rabbi Fuchs] can keep a whole room of adults engaged and listening for hours on end. 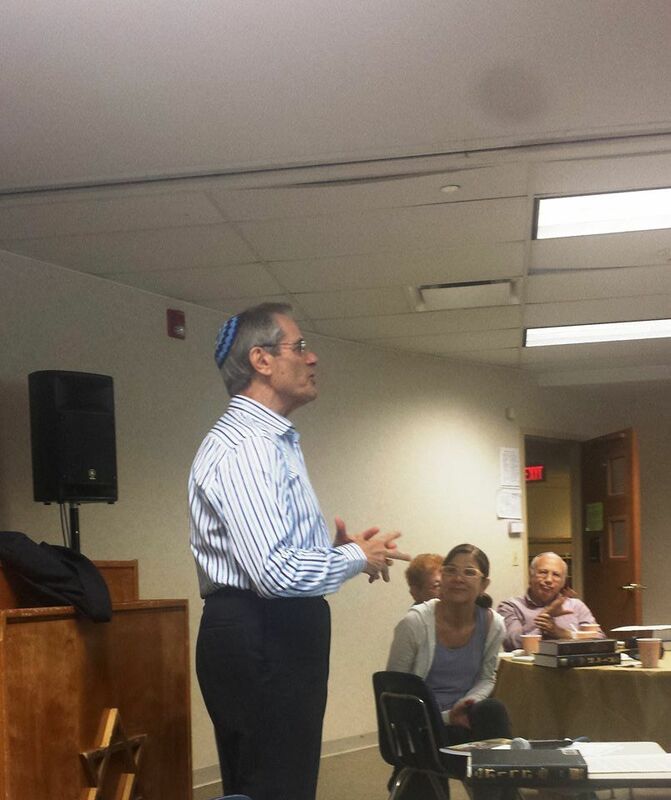 What a beautiful and moving Shabbaton with Rabbi Stephen Fuchs at Temple Sinai of Bergen County. I could not have asked for a more powerful and dynamic speaker whose Friday and Saturday messages were exactly what I needed to hear. His book "What's in It for Me? Finding Ourselves in Biblical Narratives" should be read by everyone. Todah rabah, Rabbi Fuchs, for everything. Thank you, Rabbi Jordan Millstein for letting me plan the Shabbaton in memory of David. ​"I appreciate the endorsements! Very nice!" 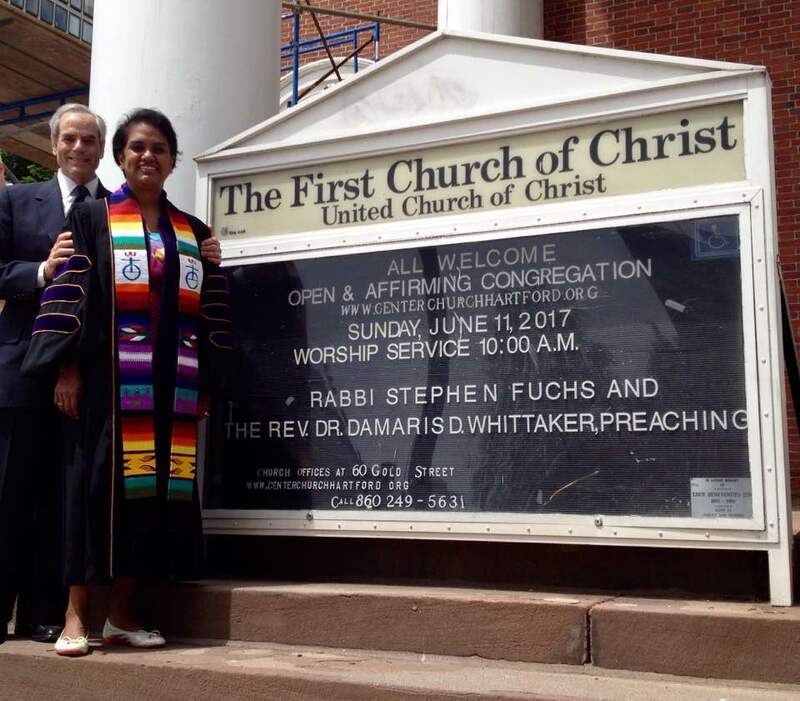 ​First United Church of Christ in Hartford, this morning. I spoke on "the Great Commission" of Matthew 28 from a Jewish perspective. ​ Professor Efrain Agosto in the congregation! Since accepting the pulpit of Bat Yam Temple of the Islands in Sanibel, FL for the entire winter season, Rabbi Fuchs' availability as a speaker for synagogues, churches, forums or other events is quite limited. Flexibility in dates and advance booking make it more likely that he can be available. ​ October 17, 2017 - 6:00PM The Vanderbilt Divinity School Distinguished Alumnus Award Dinner at the University Club in Nashville, TN. Reservations required; seating is limited. January 5, 2018 - The Installation of Rabbi Stephen Lewis Fuchs at Sanibel Congregational UCC, 2050 Periwinkle Way, Sanibel, FL 33957. 239.472.0497. The event begins at 7:30 pm. ​March 2, 2018 - Bat Yam Purim Celebration and Shabbat Eve services at 7:30pm. Please check out our Bat Yam Temple of the Islands Page for details. March 15, 2018 - St. Isabel’s Catholic Church in Sanibel, at 10:00 AM, Rabbi Fuchs will speak about What Many Christians and Many Jews Don’t Know About Passover. April 12, 2018 - Fellowship Hall at the Sanibel UCC at 5:30 PM. The launching of Rabbi Fuchs' latest book, Who Created God? And Other Essays will coincide with the Congregational UCC Potluck Dinner. Reservations are required, so please call (239) 395-0726 if you would like to attend. April 19, 2018 - 8:00PM at The Laboratory Theater in Fort Myers, FL. After a performance of Visiting Mr. Green, Rabbi Fuchs will take part in a Holocaust Remembrance Discussion. Learn more here. May 5, 2018 - 1:00PM at Hamilton College Chapel in Clinton, New York. Rabbi Fuchs will speak at the Memorial Service of his dear friend, hockey coach, and mentor Mr. Gilbert F. Adams. You may read the eulogy here. May 19, 2018- 11:00AM Shabbat Services and Jewish-Christian Study at Blunk's. May 22, 2018- Shiur in Kiel. May 25, 2018- 9:00AM to 10:15AM at Holstenschule in Neumünster, Germany. June 3, 2018- Rabbi Fuchs will give the sermon in Schulensee. The topic is Pentecost and Shavuot; meaning of the Law. June 6, 2018- Holstenschule Academic High School in Neumünster, Germany. July 13, 2018- Speaking at Congregation Beth Israel in West Hartford, CT. The topic will be "Life after Beth Israel." November 5, 2018 - 7:00 PM "Read for Peace" at The Laboratory Theater of Florida is located at 1634 Woodford Ave., downtown Fort Myers, FL. This event is open to the public and admission is free. November 18, 2018 - 6:45 PM Sanibel-Captiva Community Wide Thanksgiving Celebration will be held at the Sanibel Community House: 2173 Periwinkle Way. The event is free and open to the public. December 11-13 Immokalee, FL: Small Group of committed Rabbis to convene in Immokalee, FL under auspices of T’ruah (The Rabbinic Call to Human Rights) to support tomato field workers there. ​January 20, 2019 - Jewish Community Day of Learning at Temple Shalom in Naples, Florida. Rabbi Fuchs will be speaking and there will be lectures, discussion and a concert. The event is sponsored by the Jewish Federation of Greater Naples. Learn more here. May 17, 2019 - Abraham Geiger College in Berlin, Germany from 9:30am until 12:00pm Rabbi Fuchs will deliver a lesson on “Yom Kippur and Forgiveness,” for Rabbinical and Cantorial students at the college.